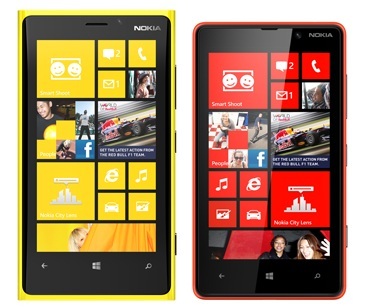 Nokia has today announced that it is rolling out an update to its Nokia Lumia 920 and Nokia Lumia 820 Windows Phone 8 smartphones which go on to bring in many enhancements to the the smartphones. The update is the same that was rolled out to the Windows Phone 8X by HTC earlier this month and shoots the OS version to 8.0.10211.204. Currently the update is rolling out in the US and Canada to Nokia Lumia 920 and Lumia 820 smartphones and the global roll out will be happening only in February 2013. Text replies to incoming calls: Now you can send a pre-written text reply to a caller directly from the call answer screen. It’s a nice way to let people know that you’re not ignoring them. While international Lumia 920 and Lumia 820 owners will have to wait for the upgrade to roll out until February 2013, we hope Nokia decides to release it a bit earlier.